The Form 1 3D printer uses Stereolithography, which is technology in which resin is exposed to ultraviolet (UV) light and hardens to form the part. 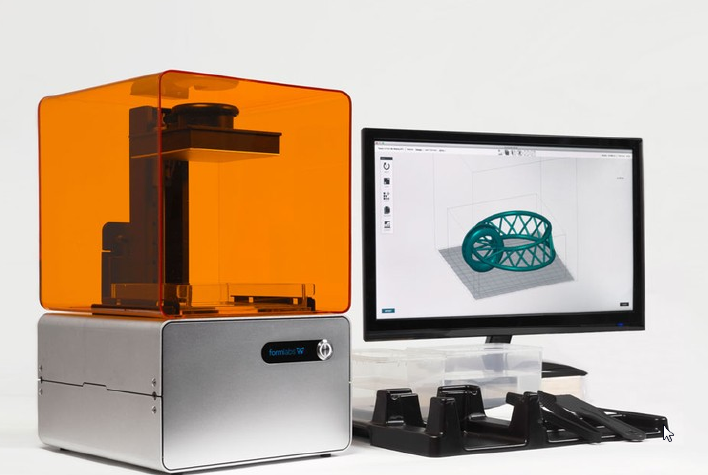 Stereolithography is patented by 3D Systems and both Formlabs and Kickstarter were sued by 3D Systems. But Formlabs continued with the printer and is accepting orders.